Want to flaunt those curls without worrying about a lot of frizz? Try these curly hair tips. Just-Pics » News & Headline Stories » Want to flaunt those curls without worrying about a lot of frizz? Try these curly hair tips. Once you begin learning more about curly hair, you'll soon discover that it comes in way more than one texture. Deep conditioning treatments are important to replenish moisture in curly hair that has dried out. 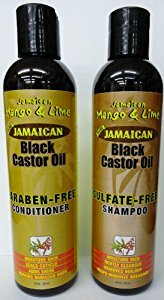 If your hair starts to feel frizzy and dry, do a deep conditioning treatment and see if it helps. Apply a conditioner to your hair before getting into the shower. Place a shower cap over your head, covering your hair completely. Shower with the cap in place. The heat and steam from the shower helps lock in the conditioner's moisture. When you're done, rinse out the conditioner and brush as usual. Detangle your hair with your fingers and a wide-toothed comb. Something like a paddle brush is not appropriate for curly hair. Regular brushing can cause split ends and frizz. If you have tangles, get them out with a wide-tooth comb and your fingers. Never start brushing at your roots. This can cause strands of hair to break. Start the detangling process at the end of your hair and work your way up.The wide-tooth comb should be able to comb out some tangles. 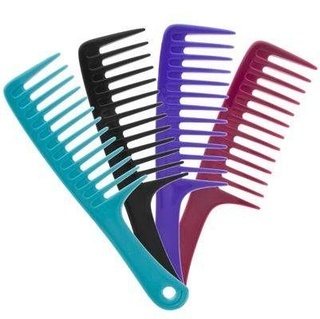 You may have to use your fingers at the same time as the comb to work out more difficult tangles. Use a low heat setting when flat ironing. As curly hair is prone to being drier than average hair, you should never flat iron at a high heat. Excessive use of heat treatments like a flat iron can cause your curls to grow limp. Do not flat iron too often. If your curls seem to be becoming limp, or your hair becomes very frizzy, you may want to avoid heat treatments for a bit. Are your curls not shaping up, no matter what you do? It may be time to visit a stylist and get a cut that complements curls.